The Massachusetts Supreme Court has dismissed thousands of drug convictions  because of misconduct by a state chemist and two assistant attorneys-general. In 2014, Sonja Farak, a chemist at the Massachusetts State Crime Laboratory, was convicted of stealing and using the lab’s drugs. The involvement of the two assistant attorneys-general who withheld evidence about Farak’s offences was revealed in November 2017. At least 12,000 cases involving evidence processed at the lab between January 2009 and January 2013 could be affected. It’s not the first time; more than 7,500 cases  tied to Farak were dismissed in April. An amendment to Hungary’s constitution banning ‘habitual residence in a public place’ took effect  on Monday, after previous government attempts to criminalise sleeping in public failed. Critics doubt the government’s claim that current services are sufficient to alleviate homelessness. Social workers and NGOs working with homeless people are concerned that the policy will make them complicit in punishing people who are sleeping on the street. In September, the European Parliament voted to launch legal action  against the Hungarian government for breaching the EU’s core values. 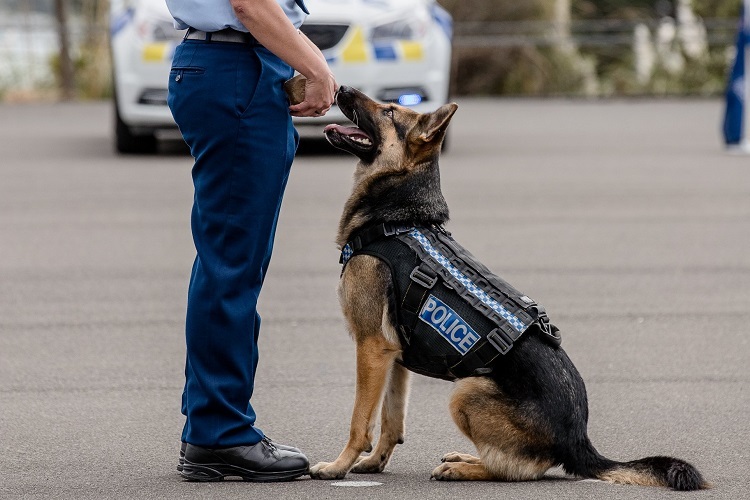 It’s Australia versus New Zealand in the Australasian Police Dog Championships  with the New Zealand ‘Paw Blacks’ keen to defend their title against various Australian teams. The event will test patrol dog, narcotics detector and explosives detector teams over four days and aims to set benchmarks  alongside friendly competition. Top dog will be announced tonight! US counterterrorism coordinator Nathan Sales is visiting the Balkans  to discuss ‘counterterrorism cooperation, combatting terrorist travel, the prosecution of terrorists, and border security’. The US continues to see the Balkan states as vital counterterrorism partners. However, as we’ve noted before , the State Department’s country reports  found that Bosnia and Herzegovina, Albania and Kosovo lack adequate resources and experience in counterterrorism measures. Germany has deported Mounir el Motassadeq, who was a member of the ‘Hamburg cell’ that was involved in the 9/11 terrorist attacks, to Morocco. El Motassadeq was convicted in 2006 of being an accessory to mass murder  for his role in managing the finances of members of the cell. He was released on Monday after spending almost 15 years in jail. It’s believed that the so-called Islamic State abducted around 250 civilians  including 90 women and children from the al-Bahra displacement camp  near the eastern Syrian town of Hajin. IS fighters launched the attack to prevent the Syrian Democratic Forces from advancing. Meanwhile, the US-backed offensive to recapture territory was hampered by fierce sandstorms. Fourteen Iranian security personnel  have reportedly been abducted along the country’s border with Pakistan. Jaish al-Adl, an affiliate of al-Qaeda, has claimed responsibility, according to Al-Jazeera. Iranian state-owned media said the forces were part of a security operation involving members of the elite Revolutionary Guard. Iran’s foreign ministry has called on  Pakistan to ‘implement all necessary means and measures to free [the personnel]’. The United Nations Command met with North and South Korea for the first time on Tuesday to discuss demilitarising the border . The talks are in line with other recent reconciliation measures, such as land-mine removal and an agreement to reconnect rail networks. Also on Tuesday, North Korea released  a South Korean man who illegally crossed the border last month. Jordan and Syria reopened a border crossing  on Monday—a possible sign the Syrian civil war is winding down. The crossing had been a crucial commercial corridor  linking Jordan and Israeli-occupied territory to other Arab states until its closure in in early 2015 due to rebel occupation. The Assad regime took back the area in July under a Moscow-brokered deal with rebel forces . Zambia has launched an initiative to train health workers on preventing, recognising and treating  an Ebola outbreak. According to the World Health Organization, as of early October , 106 people had died in the ongoing Ebola epidemic in the Democratic Republic of Congo. As a neighbouring state, Zambia is concerned the virus will spread across its borders, necessitating a rapid response. The World Mosquito Program  is leading a preventive initiative  aimed at controlling the spread of the dengue, Zika and chikungunya viruses in the South Pacific. The program uses Wolbachia, naturally occurring bacteria that are safe for animals and the environment but inhibit the ability of mosquitoes to transmit diseases to humans. Mosquitoes infected with the bacteria breed with wild mosquitoes, passing on the bacteria. The program has reported initial successes in Vanuatu, Kiribati and Fiji. NASA maps show extensive power outages  in Florida and Georgia due to Hurricane Michael. While power has been restored to the majority of the 2.6 million households and businesses cut off in the storm, it may take weeks or months for electricity to be fully restored. Powerlines could be buried to prevent wind damage and stop such large power failures in future, but that’s a costly measure and flooding could create other problems. It took 11 months to fully restore Puerto Rico’s power  supply after Hurricane Maria last year. Rebecca Moore, Aru Kok and Georgia Grice are research interns at ASPI. Image courtesy of NZ Police on Facebook.